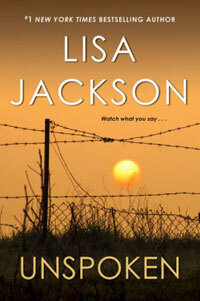 In a gripping novel of atmospheric suspense from #1 New York Times bestselling author Lisa Jackson, a woman returns to her Texas hometown to confront deadly lies . . . The town of Bad Luck, Texas, is home to all kinds of secrets. Shelby Cole had her share, before she left to start a new life. After almost ten years away, a mysterious package arrives at her Seattle home. There’s no return address, just a photograph of a little girl. Shelby knows immediately that this is the daughter she was told died at birth—and that going back is the only way to discover what really happened. Shelby isn’t the only one coming home. A long-ago killing is in the news again, and Ross McCallum, the man who made a nightmare of Shelby’s past, has been set free because of recanted testimony. Is he baiting her, or has someone else lured her back to Bad Luck for their own twisted purpose? Shelby's inquiries about her baby are met with stonewalling and hostility. Her only ally is Nevada Smith, the one-time bad boy of Bad Luck. Nevada was the arresting officer in that decade-old murder case. Now he’s a suspect. Though shocked by Shelby’s reappearance, and her revelation about the child he knew nothing about, he’ll do anything to help find their daughter. But searching for answers draws them into a terrifying scheme, where unspoken truths will drive a killer to brutal revenge . . .